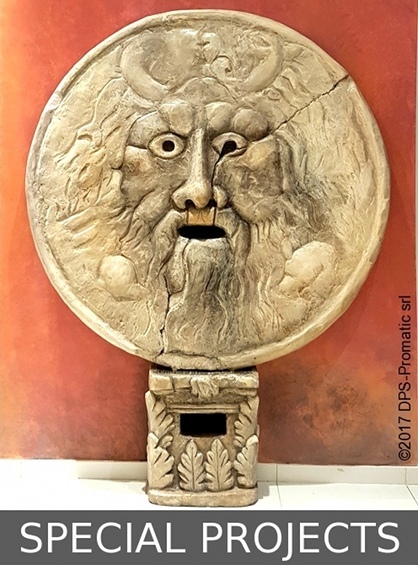 DPS-Promatic srl designs and manufactures people and luggage weighing scales, iot devices, weather stations, special project for events, like the Bocca della Verità. A complete range of people weighing-machines that differ in design, price and specifications, to meet customers needs. All of them are accurate and robust, and can work without any major technical problem for over 15 years. Body Mass index and ideal weight. Printer with guillotine cutter designed dto prevent any paper-jam. They can work free of charge, or with a coin acceptor. Bill acceptor and credit card payment on request. 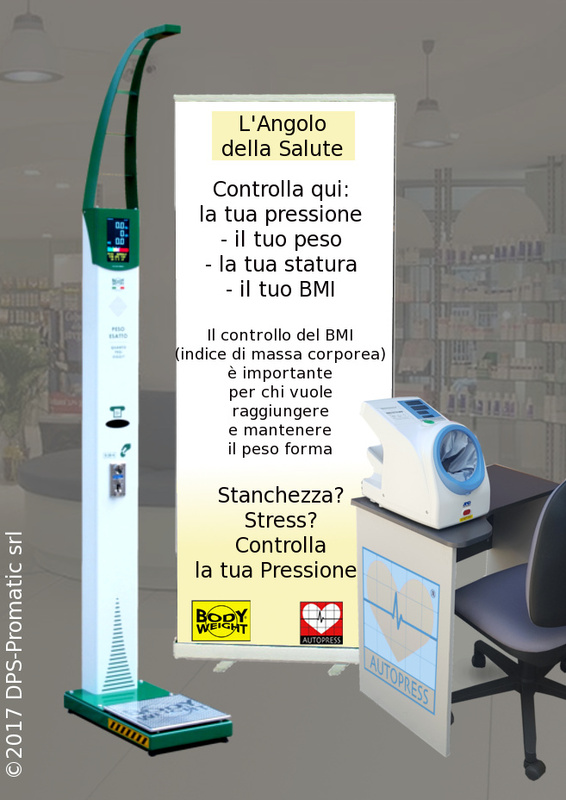 Blood pressure monitors are available as stand-alone units or as addition to weighing machines. Baggage weighing scales to use in Hotels and airports Manufactured in Italy by DPS-Promatic srl, a company in business since 1981. We manufacture GSM connected devices since 1999. 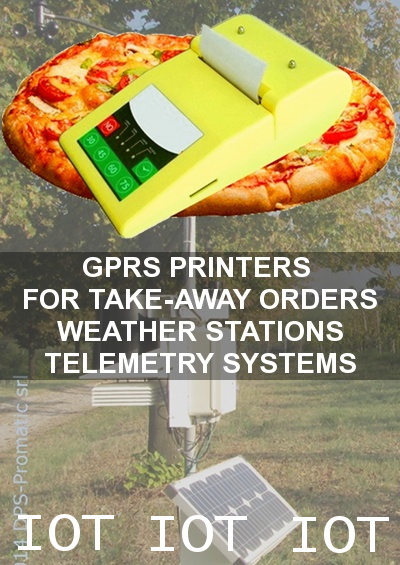 We have 20 years of experience in designing remote controls, telemetry equipment, weather stations, restaurant printers for on-line orders and more. Made in Italy by DPS-Promatic srl, a company in business since 1981. We have designed many machines sold worldwide in parks, amusement areas or used in television shows or for promotional events in shops and exhibitions. If you need a special machine designed according to your ideas or your promotional needs, contact us. We have the know-how.